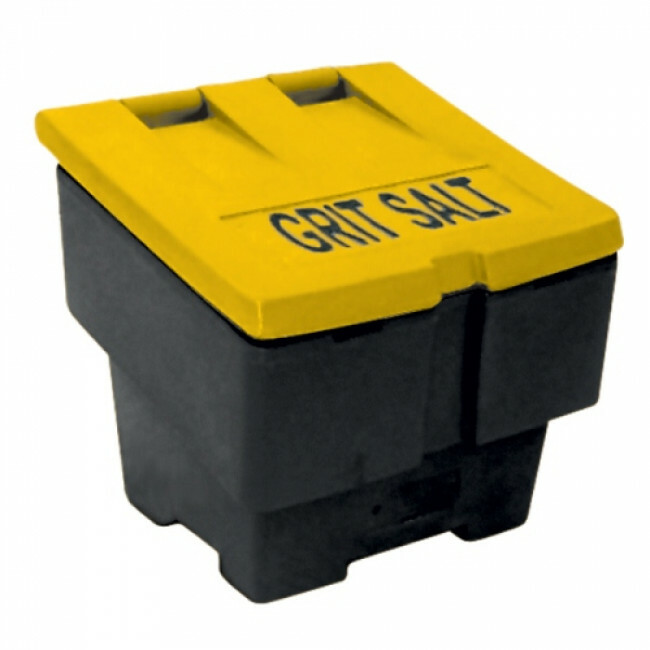 This compact and versatile grit bin is ideal for use at home or your business premises. The bin is constructed from part-recycled polyethylene and has a black base with a yellow lid. Polyethylene is a tough and durable, UV-stable material and even though this bin is made from part-recycled material, it is of no lesser quality than our standard grit bins. Keep the areas around your home or business ice-free this winter by storing you grit / salt in one of our 1.75 cu ft grit bins.